Two of the last surviving London buses to serve during the First World War took part in A Nation’s Thank You - The People’s Procession to mark the centenary of the Armistice. 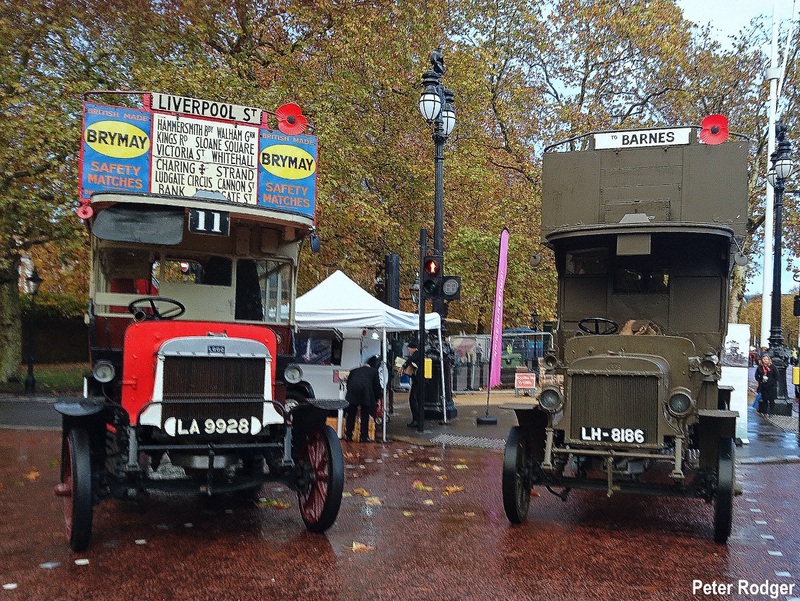 This was the first time B-type buses which served as military vehicles between 1914 and 1918 have appeared in an Armistice Day parade since the 1960s. 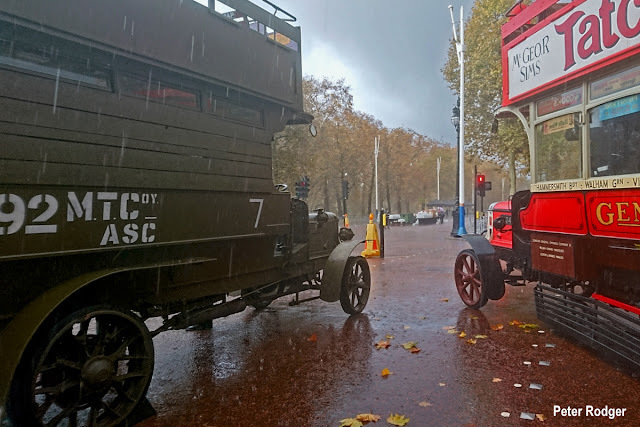 A hundred years ago, London’s camouflaged khaki-green Battle Buses returned from the Western Front. In 1914, around 1000 red London B-type buses were commandeered by the War Office for military service. Many were sent to the front lines in France and Flanders, and as far off as Greece. Others remained in Britain, carrying troops and wounded soldiers. In 1917 alone, the drivers of these buses drove 1.2 million men nearly 3 million miles. Only four of these B-type buses are now left in the world. Two are part of London Transport Museum’s collection. On Sunday 11 November, both took part in A Nation’s Thank You - The People’s Procession on The Mall from 09:00 to 15:00. Bus B2737 – known as Battle Bus – could be seen in khaki-green livery. 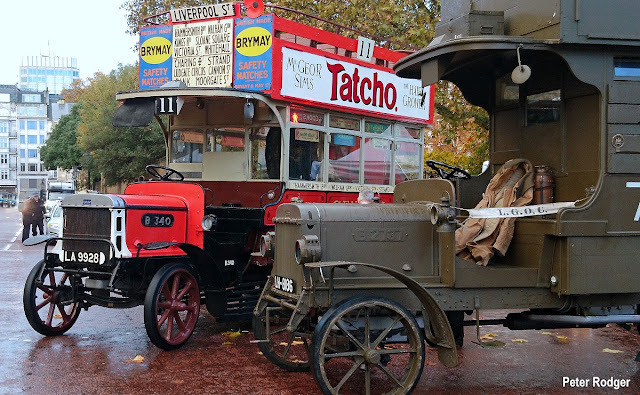 Restored thanks to National Lottery funding, Battle Bus reveals how London’s recognisable red buses were transformed into military vehicles. Bus B340, which carried wounded troops in the Capital during the First World War, appeared in its post-war civilian red and cream livery. 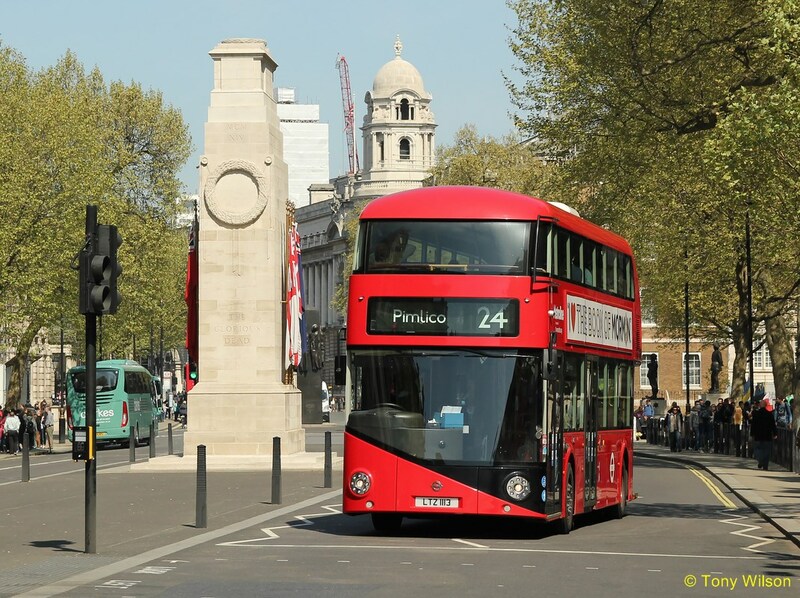 The presence of the buses paid tribute to the contribution and sacrifice made by men from across Britain who enlisted and served as drivers during the First World War. One such hero was Joe Clough. Born in Jamaica in 1886, Joe moved to England in 1906 where he became a London bus driver, before moving to Bedford. After the outbreak of war, Joe joined the Army Service Corps in 1915, leaving his wife Margaret and two daughters at home. Joe went from having driven a B-type bus in East London to driving a B-type bus converted into a military ambulance in France. Under the constant threat of battle, Joe and other drivers carried wounded soldiers from the front lines to nearby army field hospitals. After the war, Joe returned home to his family. During the interwar years, he would drive a B-type bus decorated with poppies in the Bedfordshire Remembrance Day parade. By contrast, today's modern equivalent passing by the Cenotaph in the shape of the New Routemaster dubbed the 'Borismaster'.